Once upon a time, a coworker angrily confided in me that no one from work was coming to her party. I stupidly replied, "Well, it's probably because none of us are REALLY friends. We're just coworkers. Do you really want people to come to your party that don't really want to be there?" She quickly replied, "When you get invited to a party, you should go." Needless to say, I attended said party I had been planning on getting out of. I have since learned that she's right. Go to parties when you're invited. It really means a lot to the people planning it. And it's good for you, too. 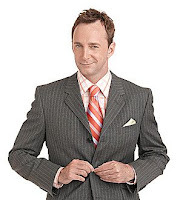 I was recently discussing the TLC show "What Not to Wear" with a group of people, when an individual began arguing against the obvious fact that the male fashion guru on the show, Clinton Kelly, was gay. I have experienced this many times in work environments with new hires as well. Same thing with American Idol runner up, Adam Lambert, this past year. Some people seem bent on ferociously denying the possibility. It's not that I don't see the harm or unfairness in quick generalizations. If these deniers simply reminded me it's none of my business, they'd be right, and I'd shut up. It's just the loud and adamant denial that confuses me. Every time in high school or college, when I thought a kid was gay, if they would deny it, I would absolutely believe them. Since then, each one has come out. The lesson I learned, right or wrong, was that if you think they're gay, you're right. If I ask you what kind of music you like, and you say you like it all...I hate you. Do not trust these people's musical opinions. These are the same types of people that eat at buffets. #9. William Henry Harrison. 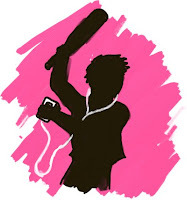 Lyrics and chords can be found on YouTube. 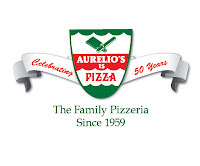 Yesterday, Aurelios Pizza, my favorite thin-crust pizza place in Chicago celebrated their 50th anniversary by offering their pizzas at their 1959 prices. $1.75 for a small, etc. An amazing deal. Now, marketing gurus will tell you this is typically a bad marketing practice. Aurelios is a premium pizza company. 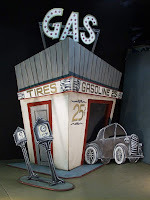 For one day, they are attracting cheapskates who would never pay $11 for a small pizza, and are simply upgrading their Little Caesars for the night. This is the same reason most marketing experts believe you should never give a product away for free. It diminishes the value of it. A buy one, get one free tactic is more widely approved. Regardless, I was excited to take advantage of their marketing mistake. I called to place my order, and was quickly informed that they had run out of cheese. You're infuriating your loyal customers, while not truly winning over any newbies. What a horrible, horrible marketing idea. I was recently put in close proximity with some people that were not all too close friends of mine. And I found I had completely forgotten that all people don't roughly have the same personality. For instance, all of my close friends have more or less, my personality traits. It's because we get along so well that they have become my close friends. It's not proximity or chance. I have chosen them. But, experiencing life with only these people has made me forget how aggravating certain personality types are, and how much I prefer my own. I'm going to call my personality "courteous." I am polite, legitimately curious about other people's lives, stay engaged when they're speaking, and do not think it's funny to put people down. Why wouldn't this personality win over in the Darwinistic survival of the friendliest? To put it differently, why wouldn't these people adopt my personality? I'm certain it would benefit them. 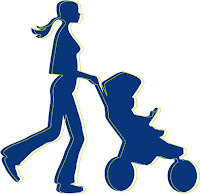 You know those moms who do their morning runs with their babies in those rolling strollers? 1) If I stole a baby, that's the first thing I'd put them in. I could run away from the scene of the crime and it wouldn't look suspicious. 2) Do you remember how annoying it was to rollerblade on the sidewalk when you were a kid? Your blades sinking into the sidewalk cracks every few feet? Do those cracks give babies little tiny headaches? I started my golfing career as a child shortly before Tiger Woods started his professional one. But he is what really got me into the game, and I have always been a loyal fan. I'm more than ok rooting for the Goliaths. Michael Jordan and Roger Federer round out my favorites in my other top sports. Greatness inspires me. But, something happened yesterday, something that had been brewing for a little while now. Earlier this year, after Tom Watson almost won the 2009 British Open (he came in second) at the ripe age of 59 (unheard of in this sport), in the video montage that followed the tournament, for the first time I can remember, an announcer took a crack at Tiger. He commented on how "Watson reminded us that this is a gentleman's game" while showing footage of Tiger throwing out F-bombs and slamming his driver on the ground. Tiger had surpassed the point of reproach in my mind, and I no longer faulted him for anything. But that montage woke me up to the fact that Tiger's a bit of a jerk. Of course, I can't imagine how tough it's got to be for him. He is expected to dominate every tournament he plays. He can't do anything but win. And that has to take a lot of the fun out of the sport. But, yesterday, as Y.E. Yang, the first Asian player to ever win a major lined up his putt on 18, I was rooting for him. Because the hole before, when the nerves got to him and he left a putt well short of the hole, he laughed a little. And when Tiger missed his own putt a moment later, he lifted his sleeve over his mouth, and cussed up a storm. I am still inspired by greatness. But for a while, I forgot what greatness really was. One of my favorite scenes from the sitcom "3rd Rock from the Sun" - a comedy about 4 aliens in human form sent to observe the human way of life - takes place when one of the aliens was learning the custom of tipping. He didn't understand its arbitrary nature, and immediately developed a new system which he announced to the waiter upon his return. He placed a pile of single dollar bills on the table and said, "When you do something good, I will add to the pile. When you do something bad, I will take away from the pile." In this fictional TV world, the waiter immediately embraced the idea and proceeded to deliver attentive service. My point is that tipping is weird. The waiter is penalized if I order a lunch item, and rewarded if I splurge for a steak, yet the plate remains roughly the same weight and no added work was required for one or the other. Let's pretend restaurants decided to get rid of tipping. 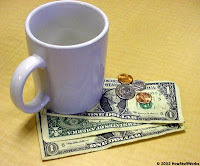 All other things equal, the waiters are now making $3-something bucks an hour. So, what happens? These grossly underpaid workers try making a switch to a retail or other more competitive industry. But, these restaurants, still requiring service workers and unwilling to go bankrupt bump up their salaries to be competitive. Food prices go up, but real prices end up about the same, because you're not tipping anymore. I know I'd be happier. For those of you about to say that waiters will lose their incentive to work hard, there are plenty of other ways for management to judge performance. You're not tipped, are you? Last week, I took my wife to Hobby Lobby and waited in the car for her. From my position in the parking lot, I faced an all-you-can-eat steak and sushi buffet. After my 10-minute window into the soul of the industry , and noticing a very hard-to-miss characteristic shared between nearly every person that entered and left, I was left saddened. No one should ever go to an all-you-can-eat buffet. While I enjoyed the occasional gorge fest as a child, ever since I became slightly calorie conscious, over-eating really leaves me feeling disgusting. More importantly, please consider the quality of food that the restaurant is putting out for your indulgence if they are able to profit off much-larger-than-average people making out with three or four platefuls per sitting. In terms of taste. 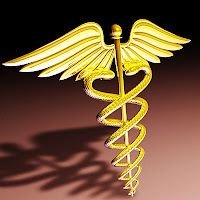 In terms of health. 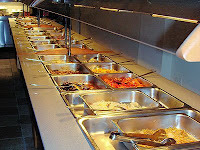 In terms of everything, buffets simply don't make sense. Biologically, I don't see how this makes sense. A correlation between sexuality and physical flexibility/coordination? I can see how gay men might be more interested or willing to admit interest in dance than straight men. And therefore, there are potentially a lot of great straight dancers playing other professional sports right now. Is that all it is? How could there be a connection? So, Netflix has been offering streaming video for a while now. Even if you have a 1-movie at a time plan, you can just sit at your computer or TV all day streaming one movie after another. The idea is that you're still just renting 1 at a time. You're just given immediate access to it and immediate returns. I have recently become a fan of my local library's free system of renting movies from their network of libraries. I don't think I have come across a movie yet that I haven't been able to secure from this network. The one downside is that it sometimes takes a while to get to the front of the "on hold" queue. But what happens when libraries start streaming their entire collections? You'll have instant access to every movie you could possibly think of. All for free. Probably music, too. What's this going to do to the entertainment industry? Name an NBA player who played during Michael Jordan's prime that you consider one of the best players to ever play the game. Is that a coincidence? Magic and Bird were too early. Kobe and Lebron, too late. Ewing, Drexler, Malone, Robinson. Is that who we're left with? I mean, Dream Teamable, yes. But, what's with the huge talent drop off? It makes me curious if the elite guys we think of like Magic, Bird, Kobe and Lebron are actually in his class at all. We don't really know. We assume they are because they're the best in their time. Maybe they're better, and Jordan just got lucky with the time he was in the game. And because of that, we give him the front spot in the best-of-all-time rankings. 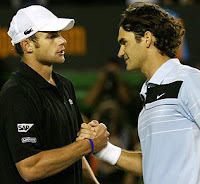 Without Roger Federer, would Roddick be considered one of the best in the game? Would he have a half dozen major titles? Just goes to show you that if you want to win, you better be born in the right year. How can someone be pro-choice AND think prostitution should be against the law? I obviously see how someone could have a moral problem with one and not the other. But in terms of a consistent legislative outlook? How can you argue that a woman has the right to do whatever she wants with her body...except that?